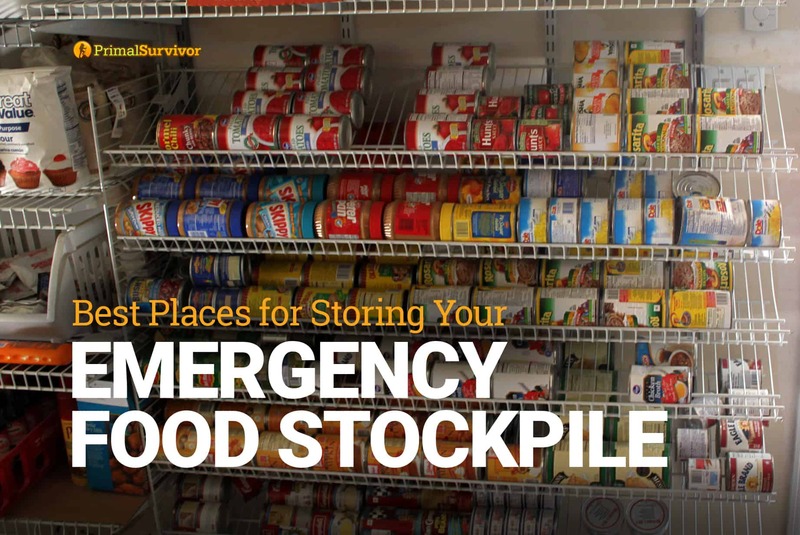 One of the big issues with getting started with emergency food storage is that food takes up space. Before you get into storing any significant amount of food, you really need to have a plan on where you will keep it. The plan isn’t just about making space for your emergency food. If you store your emergency foods in the inappropriate places, they could get damaged by humidity, heat, light, pests, or physical damage. I can only imagine the horror of going to your emergency food stockpile after a major earthquake, EMP event, or other disaster type and seeing that all your food supplies have been ruined! Here I will go over the main places where people keep their emergency food stores and the pros/cons of each place. If you have any suggestions, feel free to add them in the comments. As far as space goes, your basement is probably a good choice for your emergency food. Basements are also cool and dark, which is important for ensuring foods don’t go bad. However, humidity can be a major problem in basements. You’ll need to install a dehumidifier and check it regularly. Never store your emergency foods on the basement floor as this will result in humidity problems and cause the internal temperature of the food to fluctuate. Instead, put pallets on the floor and keep your foods on top of the pallets. Another thing to think about is whether your basement might flood. If you live in a hurricane zone or near a major body of water, look into options for preventing basement flooding. 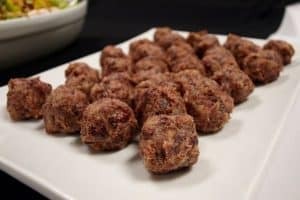 Modern Survival Blog has a good article on how to properly store food in the basement. Best For: When in the proper containers, you can store items in air-tight, vacuum packed or sealed packaging. Never store store-bought foods in their original packaging in the basement. Cardboard packaging can quickly get moldy. Garages are another popular place for keeping emergency foods because of all the extra space. However, garages can be very problematic. First off, it is very difficult to control the temperature and humidity of a garage. The fluctuation between high and low temperatures can cause your emergency foods to go bad very quickly. Another issue with garages is that they aren’t very resistant to disasters. Even if your garage survives a disaster, it would be easy for looters to break into the garage and steal your supplies. So, avoid keeping your emergency foods in your garage! To safely store survival foods in the garage, you’ll need to get it to a humidity level of below 50%. According to LDS Intelligent Living, your garage humidity should be at 15% to store food safely. Temperature should be kept below 75 degrees F.
Best For: Ideally you wouldn’t keep any survival food items in your garage. Instead, it is a better choice for hygiene products like toilet paper, hand soap, baby wipes, etc. If you must store food in your garage, it should be canned or vacuum-sealed and placed in buckets. These are great places to keep your emergency food because it is fairly easy to control temperature and humidity. Not all of us are blessed with enough closet space for our long term food stockpile. However, with a good organizational system, you’ll find that you can really stockpile a lot of food in a standard pantry! 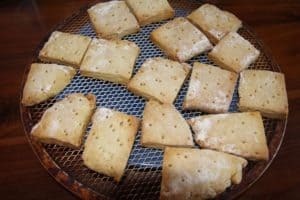 It is really important that you consider earthquake and high-wind safety when shelfing your emergency foods. Cans are generally safe, but anything in glass or its original packaging could easily be damaged. The main issue is making enough space in your closets for your stockpile. This can be achieved by investing some time and money into building a good reinforced shelving system. Organization really matters in small spaces because otherwise it will be nearly impossible to rotate your stockpile! Northwest Edible Life has a great article with pictures on how to earthquake-proof your shelving. Best For: I keep my 30 day emergency food supply in the pantry where it is easily accessible. So long as you rotate through your food stores, you can store any type of food in the pantry. Long term food stores aren’t kept here because of special constraints. *Don’t Forget about the Space Under the Stairs! If you have a two-floor home, then there is probably a lot of unused space under your staircase. This is a great place to make a secret closet! It gives you a hiding spot plus a large cache for some of your survival foods and supplies. If you don’t already have a root cellar, I wouldn’t worry about building one yet. 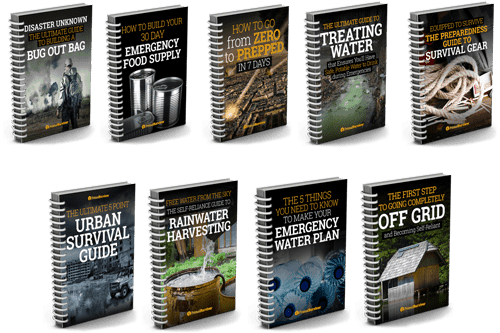 Focus on building your 30 day emergency food supply for starters, then move onto stockpiling other basic emergency supplies. After you have mastered that, you can start thinking about a root cellar. You may even want to build a survival shelter which can double as a root cellar. Root cellars have the ideal temperature and humidity for food preservation, and can even be used for keeping fresh produce for longer periods of time. Your root cellar will also be protected from most elements, so it is really an ideal solution. The only major issue to consider is how you will access your emergency foods during an emergency since the root cellar will likely be outdoors. This is why it is recommended that you keep your emergency foods in more than one location. If you want to learn more about root cellars, read this article by E Foods Direct. Best For: Root cellars are great for preserving fresh foods from your garden. You can also keep many types of preserved, canned, and vacuum-packed foods for long term emergency stores. Where do you store your emergency food? Let us know of any tips you have in the comments. Question. 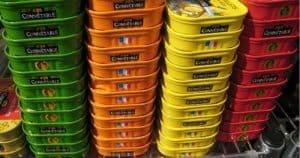 I store most of my preps on the concrete floor in my basement. 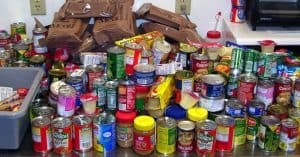 Most of what’s on the floor are canned foods in can rotators and several buckets of flour, rice, beans etc. The buckets have mylar bags with oxygen absorbers and sealed with gamma lids. Should I be worried about temperature fluctuations and getting pallets instead? The room where they’re in as at 16c in the winter and 25c in summer. Sometimes I run a dehumidifier in there when the relative humidity is above 50%. Thanks for any insight. Yes, you are absolutely right to be worried. Storing food directly on a floor is a bad idea (especially in a basement where there is a lot of temperature fluctuation which can cause humidity problems in your preps). The solution is simple though: just put some wood pallets on the floor and put your preps on top of these. 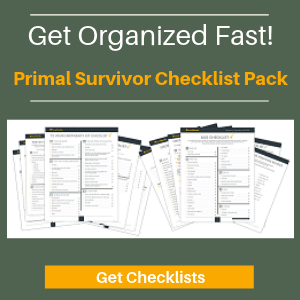 We talk more in depth on this topic in this post: https://www.primalsurvivor.net/storing-emergency-food-stockpile/ Hope that helps! I store mine in our crawl space. We are lucky enough to have half of the crawl space at 6ft height. I put up shelves and store everything in here.. the key component is the dehumidifier which drops the humidity to 50 and reduces the heat. Yep controlling humidity is key. When choosing a place to store supplies, how important is it to consider access after an event like an earthquake (my most likely situation)? Right now, I have food stored in a closet, but am thinking that might be hard to access if the building was to collapse. I’m thinking of moving it to an exterior corner of my shop (temp controlled and insulated) so that even if the building does collapse, I can probably get to the supplies since they will be near the outside of the debris zone. Hi James – You are correct to identify your most likely disaster situation and correct in your thinking about keeping the stockpile accessible. One idea is to keep the main stockpile in the shop but also a smaller cache in the closet, that way you have two options should anything happen. How can I be safe to have everything I / we will need ? If somebody are taking it or something? And if I have it more than one place – I will need everything for every space, right?